From $75/night (min 3), $450/week – Min. 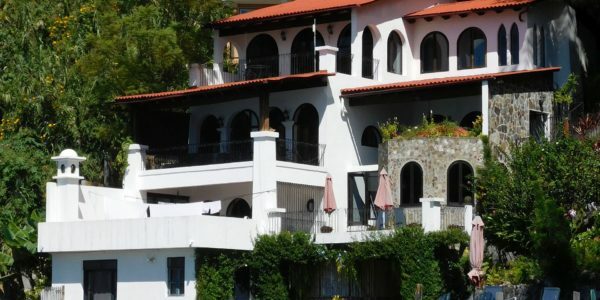 3 nights – Price is for 6 people. Max. 8 people – AVAILABILITY! 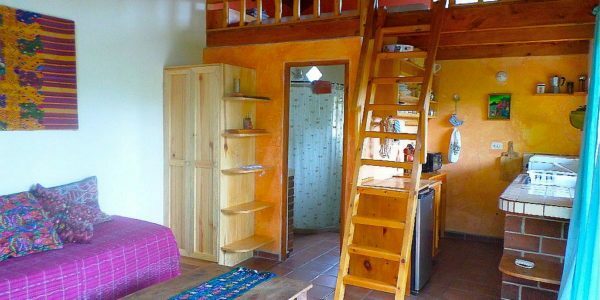 A rare 3-4 bedroom, 2-bathroom house in the centre of San Marcos la Laguna. It offers a cosy, comfortable home with lots of light and a fantastic outlook onto a lush, tranquil garden. This beautifully-decorated home has just been extended to provide a second floor with a second living space with wonderful views and a large second bathroom. The house is entered through its colourful and vibrant garden – an oasis in the middle of the hustle and bustle of San Marcos. There is a covered porch leading into a fully-equipped kitchen. This in turn leads into a spacious and light living area with a fireplace and French doors out into the garden. Off this are 2 double bedrooms. There is also a bathroom with shower on the ground level, through the kitchen. Up the stairs in the kitchen takes you to a second level of an office space, a very large third bedroom, a large living space with wonderful views and a second bathroom with shower. 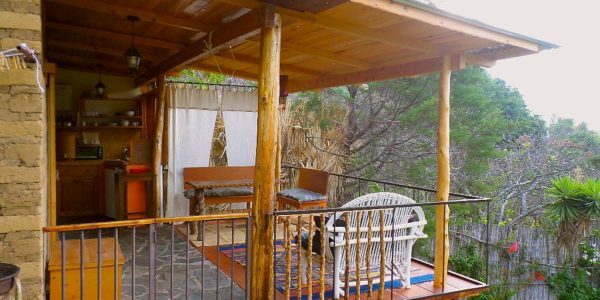 It is about a 5-10 walk up from the public dock and the house is close to all the wonderful alternative therapy centres, cafes, and restaurants that San Marcos boasts, but far enough away to be quiet and peaceful. Prices are for 6 people. After 6 the charge is $20pp per night. Children 12 and under are not charged. Available monthly, max. 3 months, please contact us for prices. From $100/night – Min. 2 – Max. 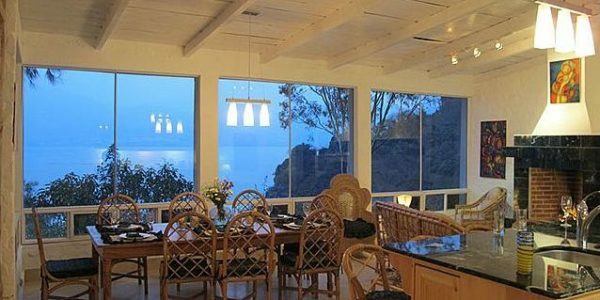 6 people – AVAILABILITY This is one of the few 3-bedroom, luxury vacation ..